Col. William I. Webster #7460 & Col. William D. Webster #15924. 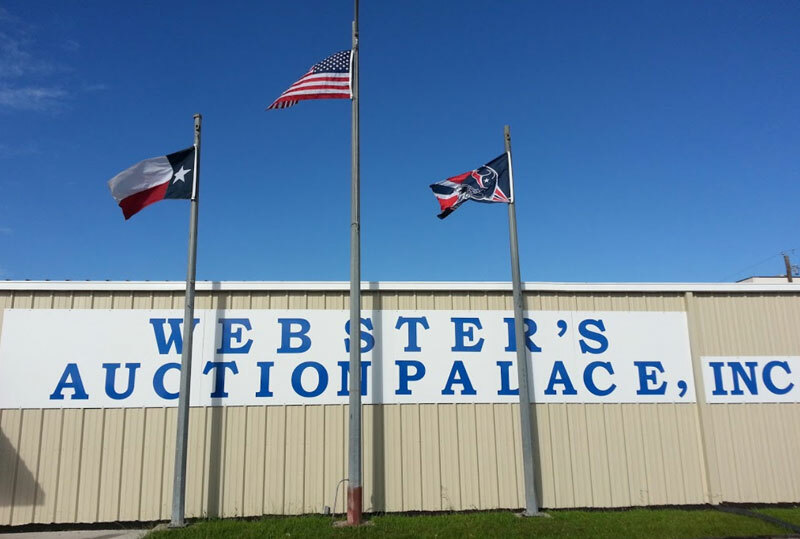 Webster’s Auction Palace was founded in August 1979 and has been a full time, continuously operating Auction Company. Webster’s Auction has 15,000 square feet of inside sales pavilion and warehouses. Three additional acres, all lighted and fenced with live-on security, comprise the vehicle and heavy equipment security compound. Webster’s Auction conducts auctions for Numerous Banks, Storage Companies, Leasing Companies, U.S. Marshals Service, Texas Department of Aging and Disability, Harris County Guardianship Program, Federal and State Receiverships. 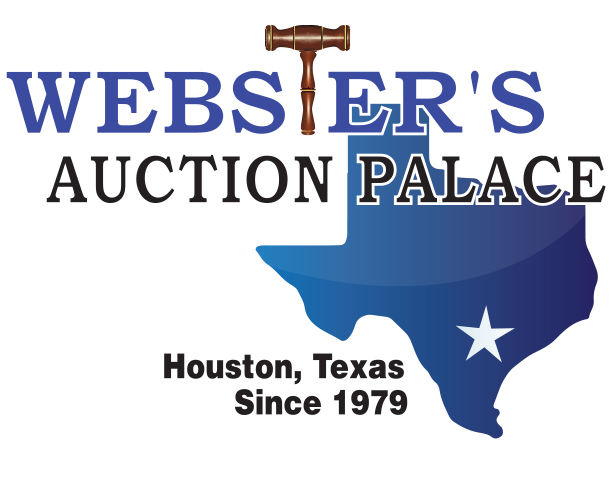 Webster’s Auction has also been selected as an approved Houston auctioneer for the Southern District of Texas Bankruptcy Courts. The variety of items sold at Webster’s Auction include jewelry, gold and silver coins, heavy equipment, vehicles, firearms, estates, boats, antiques, furniture, complete businesses and real estate. Webster’s Auction Palace has sustained a superior level of performance in advertising and has consistently been awarded first place honors in national advertising at U.S. conventions held in Texas, Pennsylvania, California, Florida, Georgia, and Kentucky.